Abdullah Abu Sayeed (Bishwa Sahitya Kendra, a non-profit organization that promotes the study of literature, reading habits and progressive ideas. Sayeed was born in 1939 in Calcutta. His father was Azimuddin Ahmed, a teacher of both English and Bengali literature. He was also a playwright. Sayeed passed SSC exam from Pabna Zilla School in 1955 and HSC exam from Profollo Chandra College in 1957. 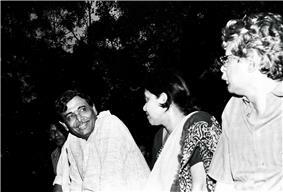 He later earned the degree of BA and MA in Bengali from the University of Dhaka in 1960 and 1961 respectively. 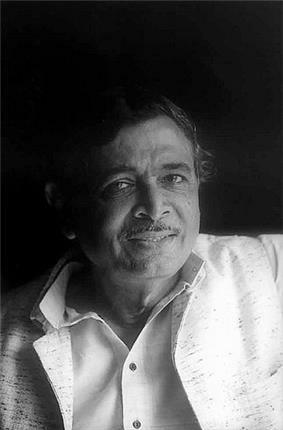 Sayeed was a professor of Bengali language in Dhaka College. In mid-1970s he started presenting Shaptabarna (Seven Colors), a multidimensional TV show in Bangladesh Television. In 1978, he founded the Bishwa Sahitya Kendra. ^ "Bangla Academy prizes announced". bdnews24.com. 2012-02-18. Retrieved 2012-12-15. ^ Lorraine Hahn (2005-01-14). "Ramon Magsaysay Recipient Abdullah Abu Sayeed TalkAsia Transcript". ^ Shamim Ahsan (2004-09-03). "Recognised for an Enlightening Pursuit". Star Weekend Magazine. Retrieved 2012-12-15. ^ "CITATION for Abdullah Abu Sayeed". 2004-08-31. Retrieved 2012-12-15. ^ "The 'bookworm' in full form- Abdullah Abu Sayeed turns 72". priyo. 2011-07-27. Retrieved 2012-12-25.